Airport Chauffeur Drive also has two matching Rolls Royce Silver Shadows that would look fantastic on your wedding day. Both are airconditioned to offer real comfort to the Bride and Groom. These cars are in high demand and bookings need to be made well in advance, however please enquire with our reservation staff as sometimes a cancellation may mean your cars are available even at short notice. Our Chauffeurs have been getting brides to the church on time for more than twenty years, so we have a lot of experience that will help take some of the pressure off you on your special day. 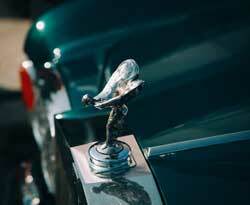 Our cars are presented in immaculate condition and we can provide if required all extras ie. Ribbons, Dolls, Teddy Bears, or we can arrange to collect your own personal decorations if you wish. 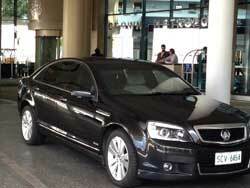 Airport Chauffeur Drive also have Holden Statesman Sedans in Black or White for your Wedding. These also have all the decorations and look very attractive in the bridal photos or maybe a transfer after your reception to your Hotel. What a great way to finish off a wonderful evening. 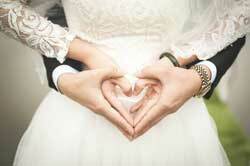 Ask our staff when you book your wedding about a late night transfer. We also have Mini Vans to transfer your Guests or Family after the ceremony and after the reception, enquire about availability when booking.